Art/Indonesian, PE, Music and Science for Grades 3 -6. Our school motto of ‘Unleashing Potential’ drives our program development, policy creation and classroom teaching approaches. The school has developed over a proud and long history, a strong sense of community, with a clear emphasis upon children striving to achieve their full potential both academically and personally. 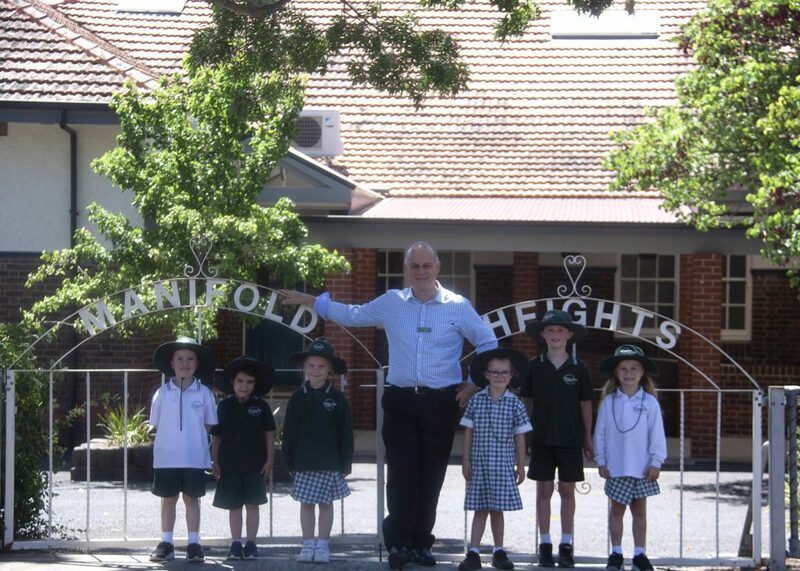 At Manifold Heights students are educated and supported to develop their creativity and to be problem solvers. Literacy and Numeracy are key school learning objectives for all students from Prep through to Year 6. Students are assisted to become reflective learners and to work effectively with peers to achieve the best outcomes for themselves and for others. We see parents as an integral component of the school community and value their diverse contributions both in and out of the classroom setting. Mano values: People who show RESPECT, People who act with SAFETY, People who take RESPONSIBILITY. A whole of school approach to Positive Behaviours is driving students to further build on their interpersonal skills, such as teamwork, resilience, mindfulness, leadership and empathy. Teaching staff seek from all their students enhanced learner participation, engagement and achievement using effective and sustainable approaches including ICT, Inquiry learning, and using flexible work spaces.